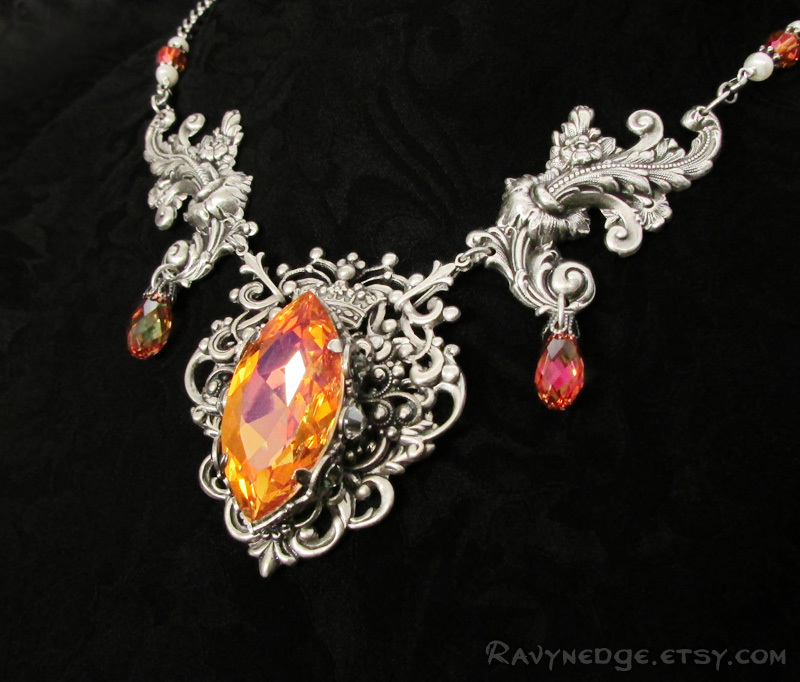 Autumn Sunset Necklace - Astral Pink Statement Necklace by RavynEdge. 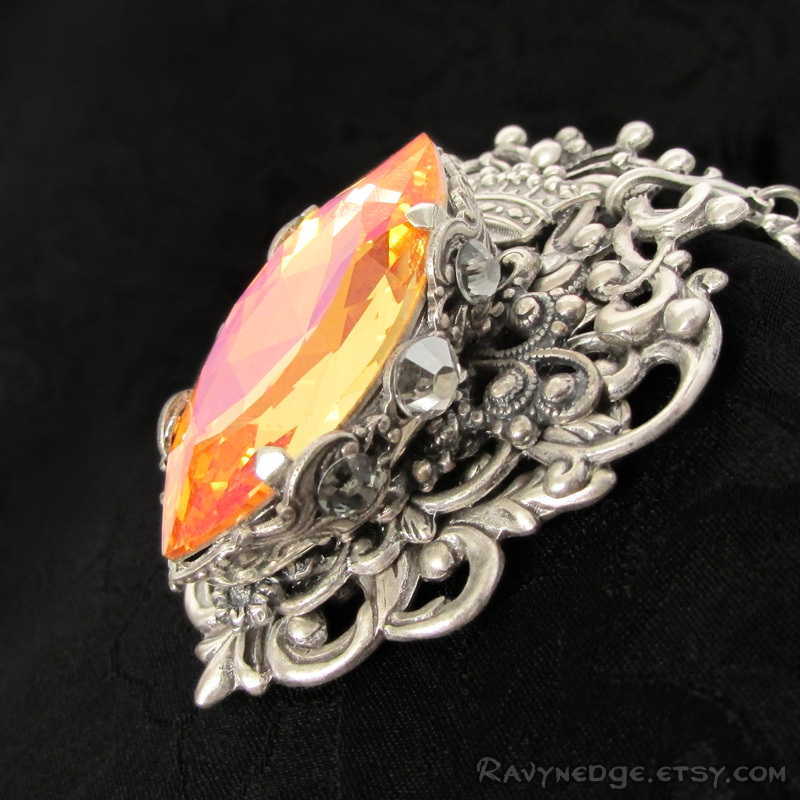 A little bit of extravagance to make you feel like royalty! 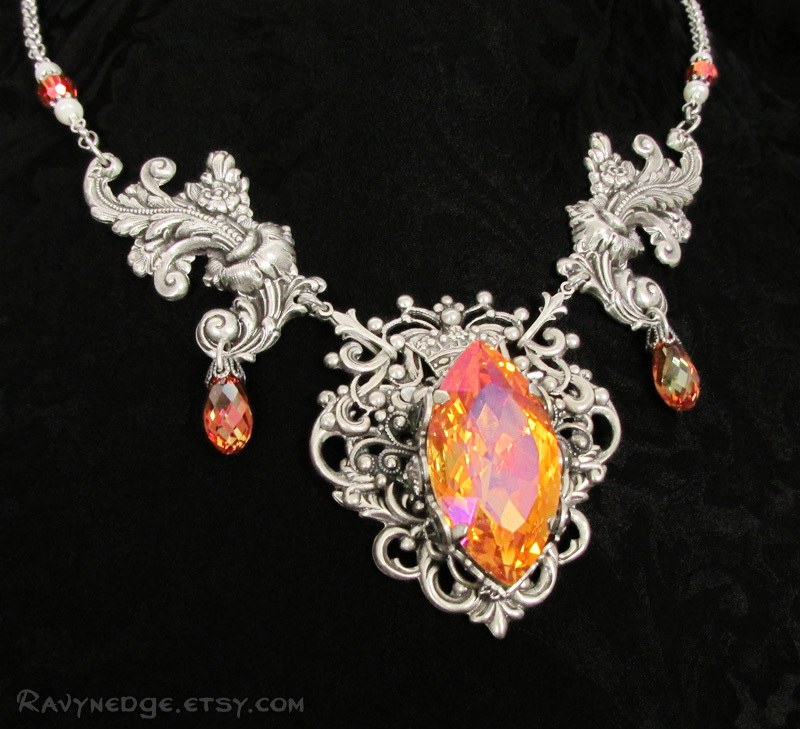 Autumn Sunset is a glamorous necklace I made with a vibrant astral pink Swarovski crystal encased in layers of lavish sterling silver plated brass filigree. 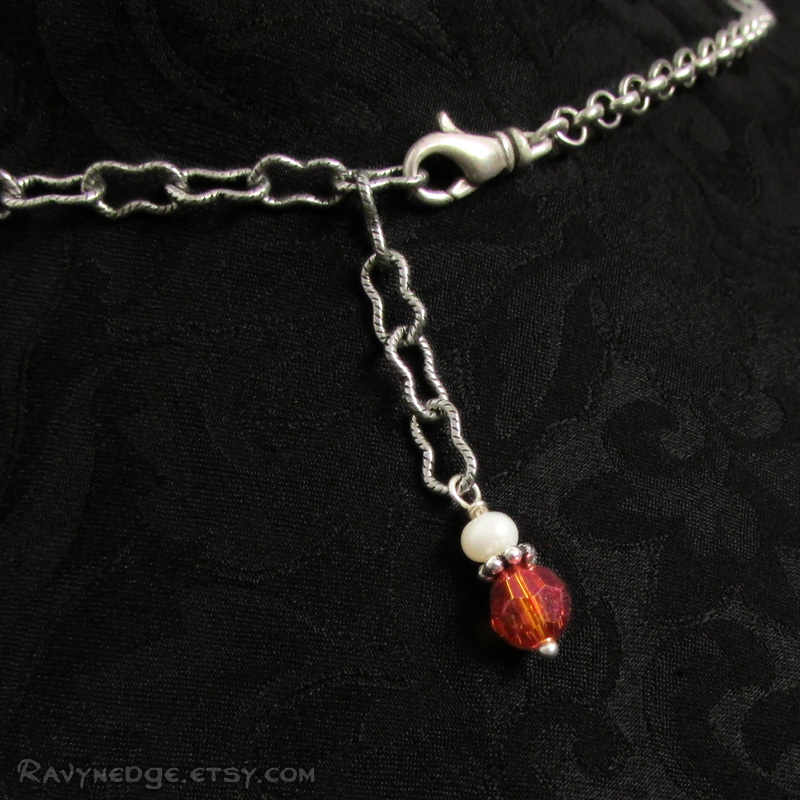 Beads of freshwater pearls, Swarovski crystal, and metal accent the sterling silver plated steel chain assembly to complete this stunning necklace. Astral Pink changes with the light displaying a brilliant spectrum of pink and orange through Swarovski's precision facets. 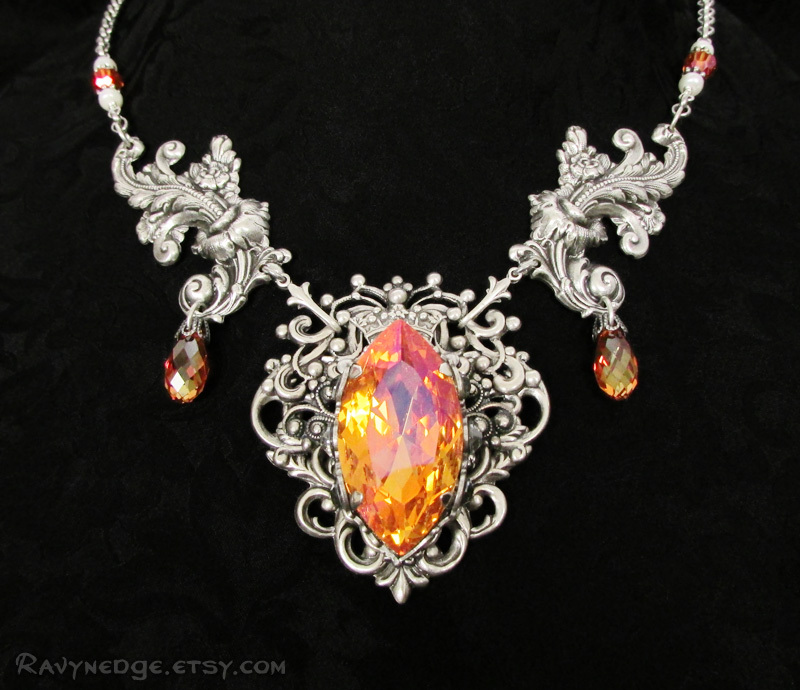 The necklace length is adjustable from 16 to 18 inches (40.6 to 45.7cm) and closes with a swivel lobster clasp.